Bishop Michael Curry, the American whose rousing sermon at Meghan Markle and Prince Harry's royal wedding nearly stole the show, acknowledged Tuesday that he was a little nervous before he spoke. And he said on the "Today" show that he didn't know for sure after it was over whether his impassioned meditation on the redemptive power of love really landed with Queen Elizabeth II and the other royals gathered to see American actress Markle marry Prince Harry. "This is the honest-to-God truth: I walked from to the pulpit, I sat down and I said, 'Well, I hope that was OK,'" Curry said. It was only much later that he heard he'd become something of a sensation, he added. Reverend Michael Curry, bishop of the American Episcopal Church, delivered a sermon about love at the wedding of Prince Harry and Meghan Markle, now the Duke and Duchess of Sussex. 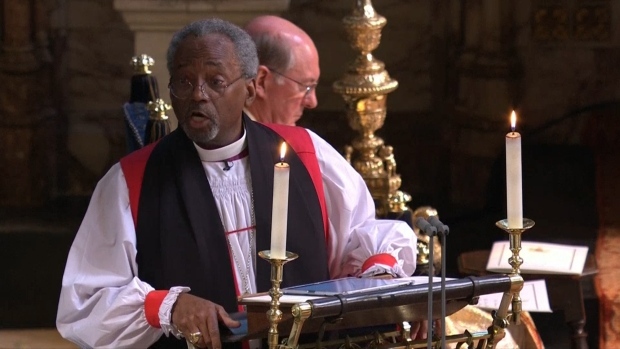 Curry's presence among the other British clergymen who spoke at Saturday's wedding exemplified its trans-Atlantic nature, which made it so special for the British royal family and for audiences in the U.S.
And Curry's ebullience amid more staid speeches made his sermon a hit. The first black leader of the the Episcopalian Church in the United States, Curry quoted Martin Luther King Jr. and African-American spirituals to note that love helped slaves persevere. "We were made by a power of love, and our lives were meant — and are meant — to be lived in that love. That's why we are here," he preached. NBC News correspondent Keir Simmons told him Tuesday, "As the British guy, I want to thank you for making some members of the royal family so uncomfortable." 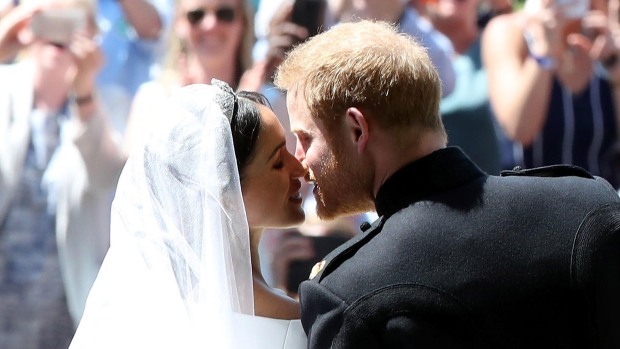 But Curry said he's used to preaching to less-than-raucous audiences in the Episcopal Church, and he figured he was picked by the couple to do what he does and that nothing in the ceremony would have happened without the queen's permission. "I've learned to be able to hear an 'amen' by looking in their eyes," he said. "They were doing quiet British 'amen.'" Harry and Markle, the new Duke and Duchess of Sussex, were very gracious when they briefly crossed paths at the reception, Curry said. He said he could see how much they loved each other as he spoke. There was a brief chance months ago that Curry wouldn't make it to the wedding — he didn't believe the Archbishop of Canterbury was really calling for him. His reaction: "Get out of here. This is an April Fool's kind of thing. I just didn't believe it and then when I realized I said, 'Well, I guess I'd better call the archbishop back.'"